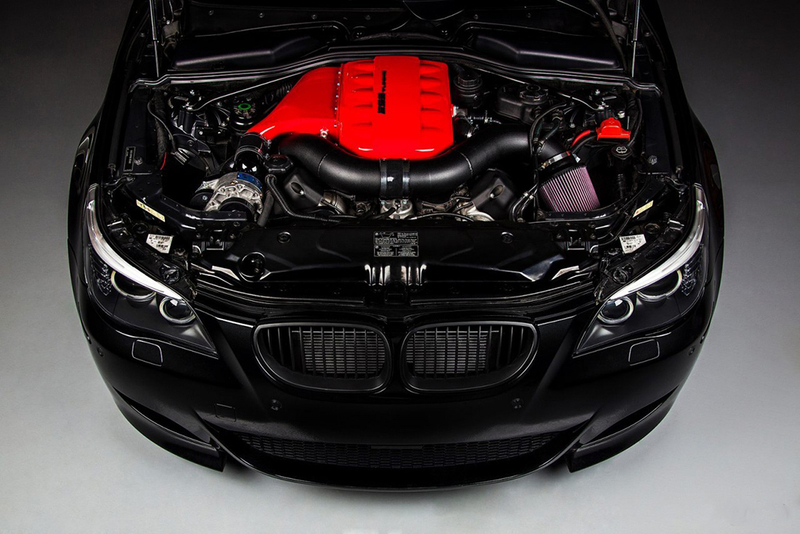 ESS Tuning's VT2-660 Supercharger Gen 2 produces 650hp and 460lb-ft of torque at 7psi of boost! 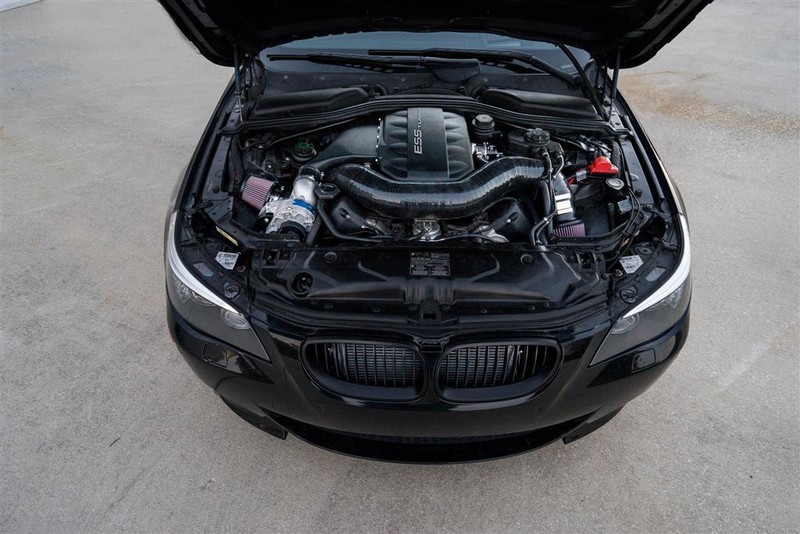 Stay ahead of the competition by increasing the power output of your BMW with a VT2-660 Supercharger System. 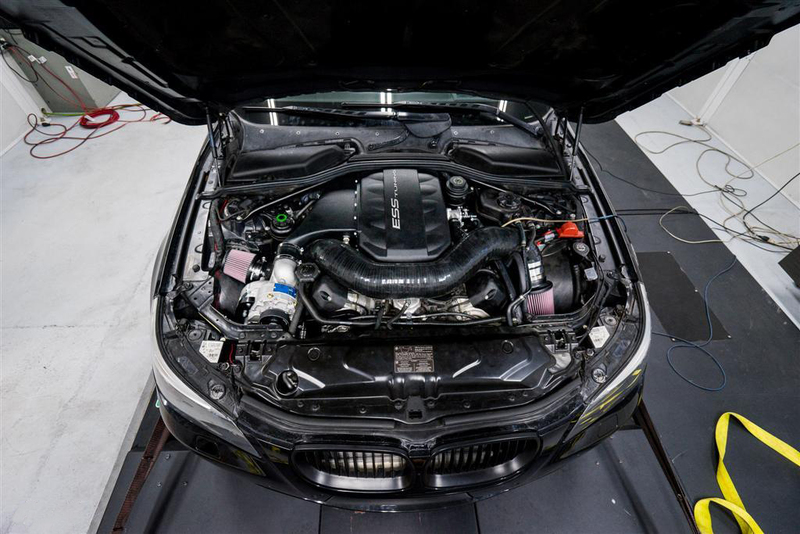 Vortech V3 Supercharger: This supercharger system incorporates the Vortech V3 self-lubricating supercharger unit in Si trim and is capable of producing up to 775hp. 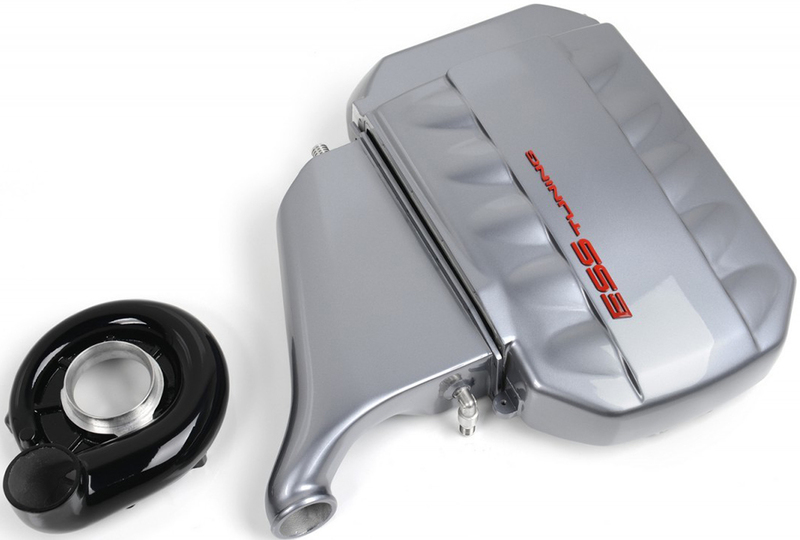 VT2-660: The S85 VT2-660 Gen.2 intercooled supercharger system comes with an especially developed cast aluminium manifold assembly with a integrated liquid to air chargecooler. A large capacity front mount heat exchanger and high performance circulation system cools the manifold mounted chargecooler. 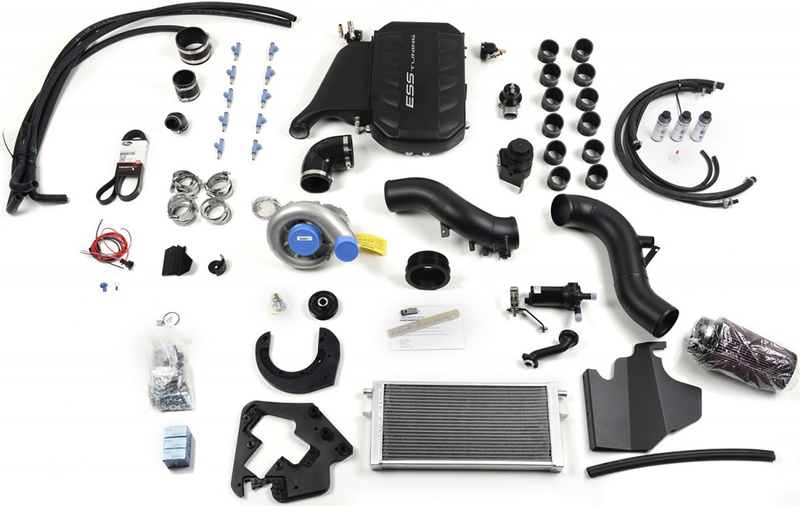 The Gen.2 version of the S85 system has a different manifold casting with flow optimized, injection molded throttle body couplers in addition to a new 4" dual silicone intake system for increased overall system flow. The VT2 version on the Gen.2 gets an upgraded front mount heat exchanger with casted end tanks and beefed up aftercooler circulation system. 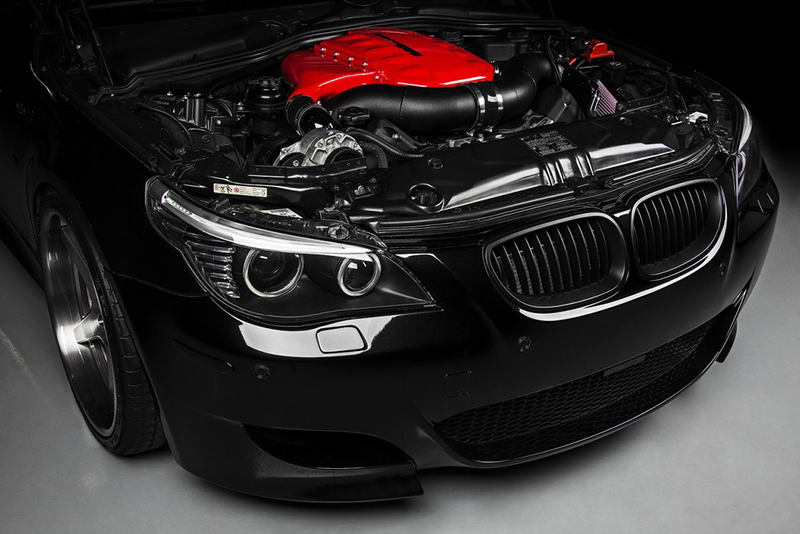 The system maintains all OBD-II functions and it is backed by a comprehensive 2-year, unlimited mileage warranty program. 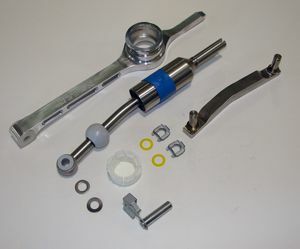 The system takes 10-12 hours to install using normal hand tools and no irreversible modifications to the car are necessary. 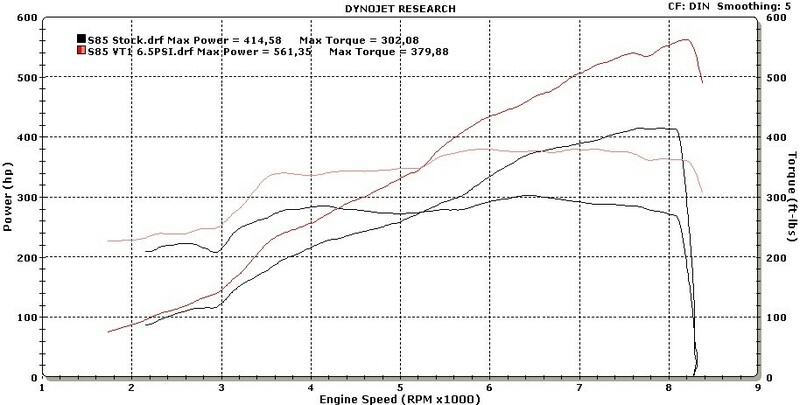 Please Note: VT2-660 - Intercooled, 7PSI system compatible with SMG and manual cars 91AKI/95RON or above required. *ESS SMG performance software is recommended with this product.